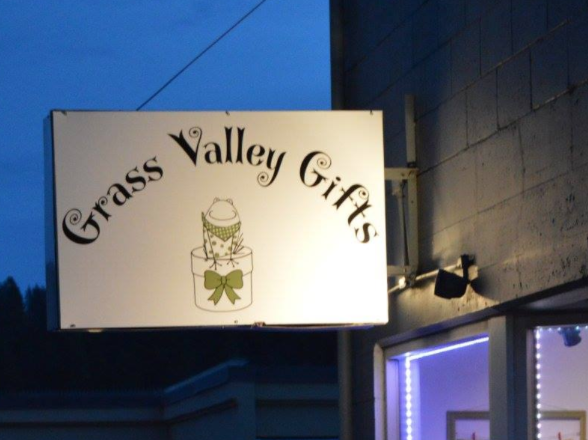 You have so many choices for Grass Valley shopping ! Home & Garden, Clothing, Gifts, Hobbies & More! 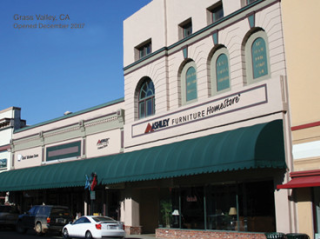 Make a trip to experience Grass Valley shopping. There are few shopping destinations around where you’ll find such an amazing collection of merchants–all within easy walking distance. 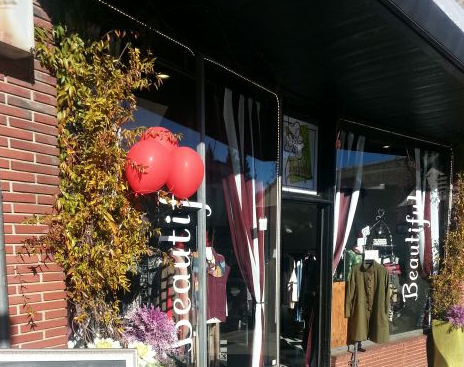 Browse the categories below and discover one of the best kept secrets… shopping in historic downtown Grass Valley, California. 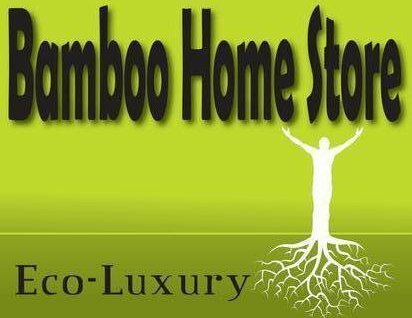 Bamboo Home Store Inc., was founded in 2009 in Grass Valley California, the mission was to educate the public about this versatile good for the environment and good for the body. Bamboo is a hard, woody plant that is green and good for the environment, but it can also be made into ultra-soft clothing, bedding, and bath goods that rivaled the softness of cashmere and silk. Bamboo is 3 degrees cooler than cotton and wicks moisture away from your body. It even helps repel odors and allergens. Collections include Sympli, Tianello, Yoga Jeans, Fridaze, Marjorie Baer, Eva Varro, Brighton, AMMA Designs, UNO de 50 and more! Fantasy boutique. Lingerie and bedroom toys. Bike accessories and repairs, as well as rebuilt bikes for sale. 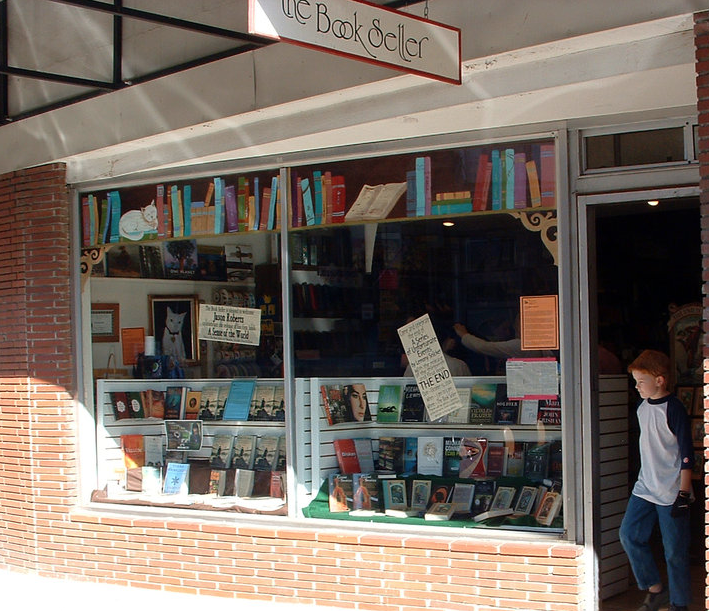 We are an independent bookstore located in the heart of California’s Gold Country, historic downtown Grass Valley. 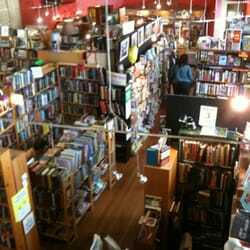 Order books online, in person, or by phone and have them shipped to your doorstep or held for you in-store! Classic Vintage Vinyl, New Vinyl, CDs, Audio Components, Music Related Gift Items, Special Orders. Buy, Sell, Trade. 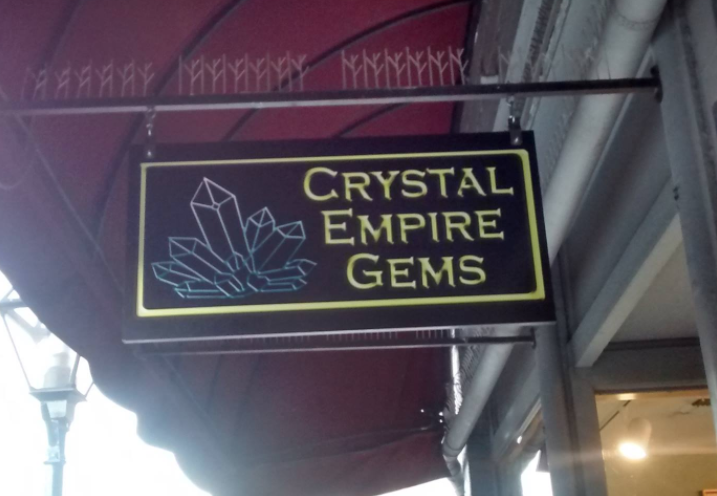 Crystal Empire Gems is Owned by James Hill and Deborah Hill. 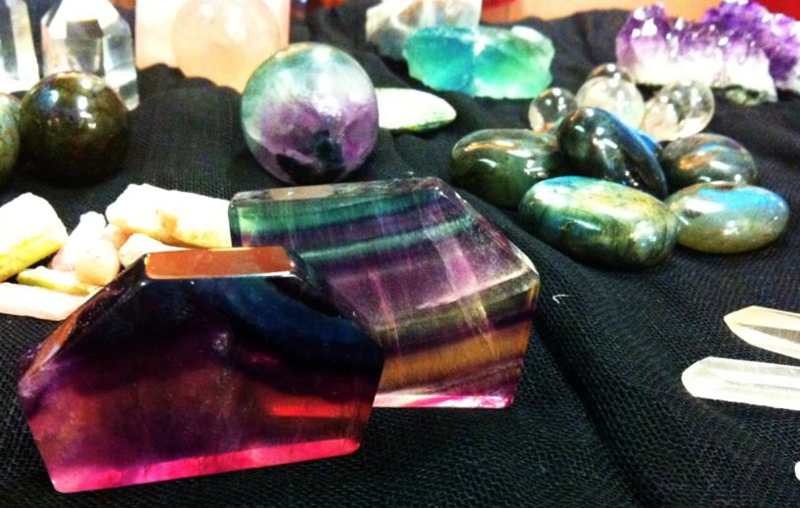 All Jewelry is hand made and consists of genuine crystals and minerals. 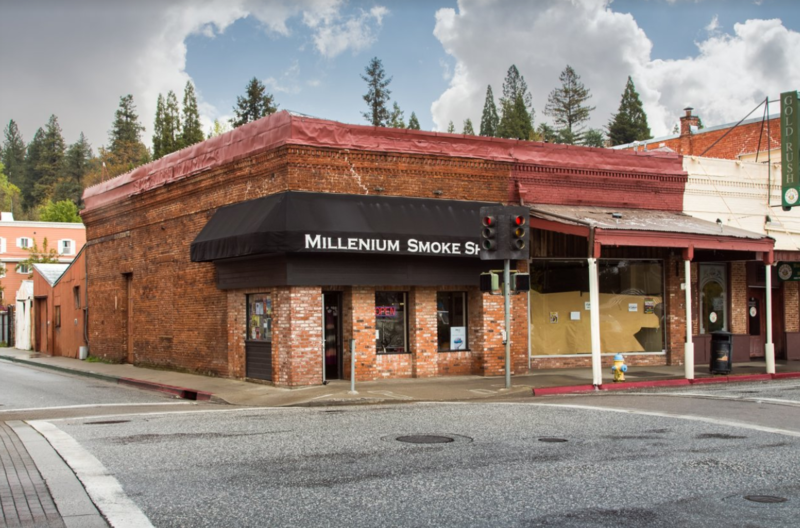 Foggy Mountain Music served it’s first customer in 1975 in the current location of 104 West Main Street in Grass Valley California. 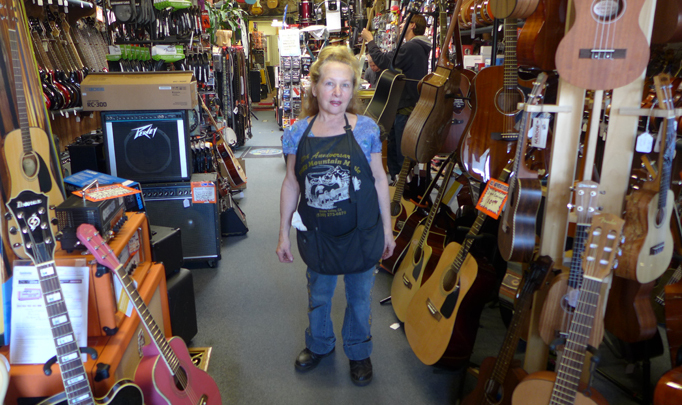 The brainchild of owner Mary Ellen Sorci, Foggy is a full line music store selling everything from guitars, drums, keyboards….. to banjos, ukeleles, horns, harps, and many instruments you just do not find in the “big box” music stores. 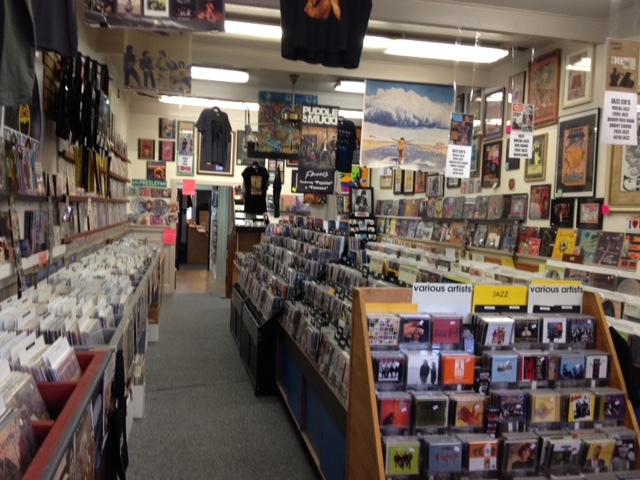 Take individual customer service with the selection of merchandise and you have the kind of music store one remembers as a home to creativity for the rest of their life. Foggy Mtn Music store is the prodigy of a long line of musicians. My mother Marilyn Doty Sorci was a child prodigy of San Francisco with the Violin. She studied with Michael Piastro and Hifits just to mention a few. My Dad Joseph Sorci played Woodwinds in San Francisco during the big band era and toured with Alex Storgal and Tommy Dorsey to mention a couple. 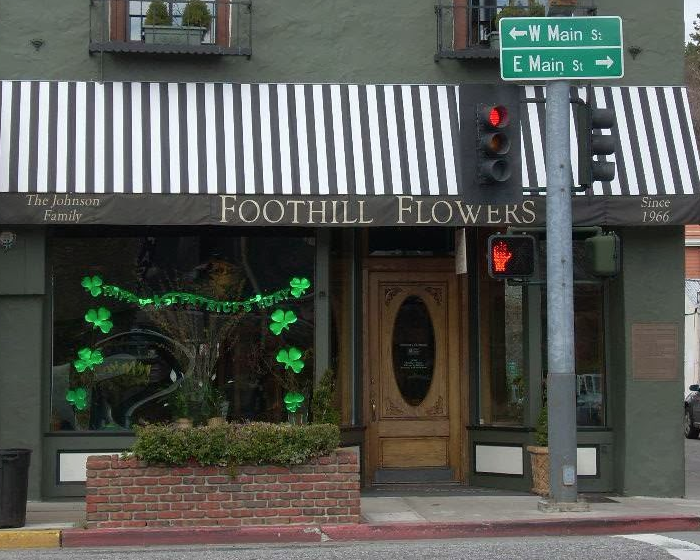 Foothill Flowers is Grass Valley’s premier florist – offering same day delivery to all Nevada County locations. 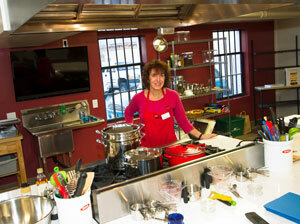 We provide floral arrangements for every occasion, Valentine’s Day, Birthdays, Anniversaries, Celebrations and more. 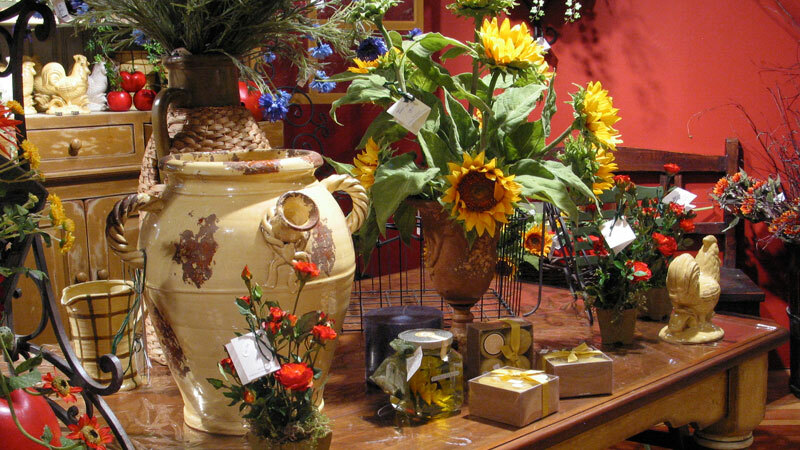 Fresh cut, beautiful floral arrangements can be ordered online, on the phone, or in person at our historic downtown Grass Valley location. 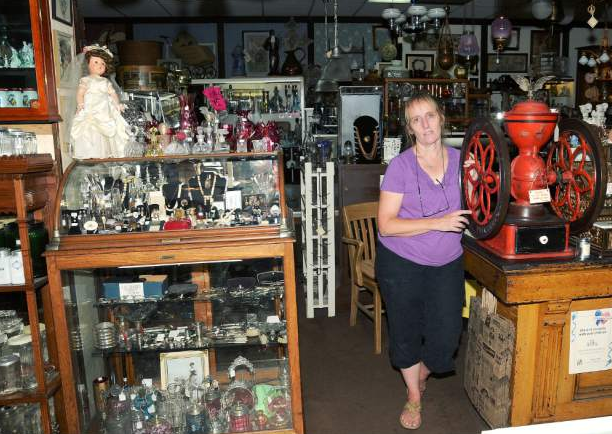 Celebrating 45 years in business in Nevada County. 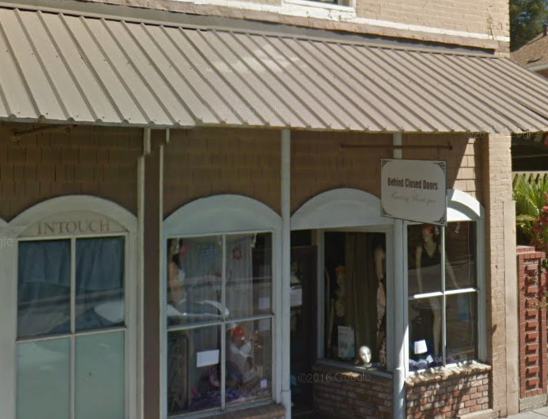 Beautifully designed shop in downtown Grass Valley with reasonable prices. 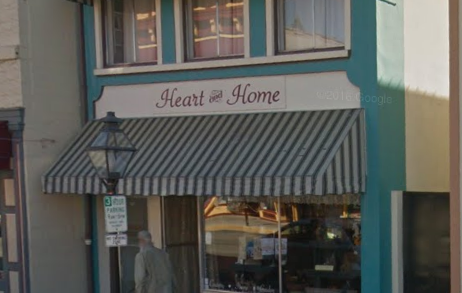 Their products range from scented candles, cute signs with sayings, purses, tablecloths, napkins, lace, mugs, etc. 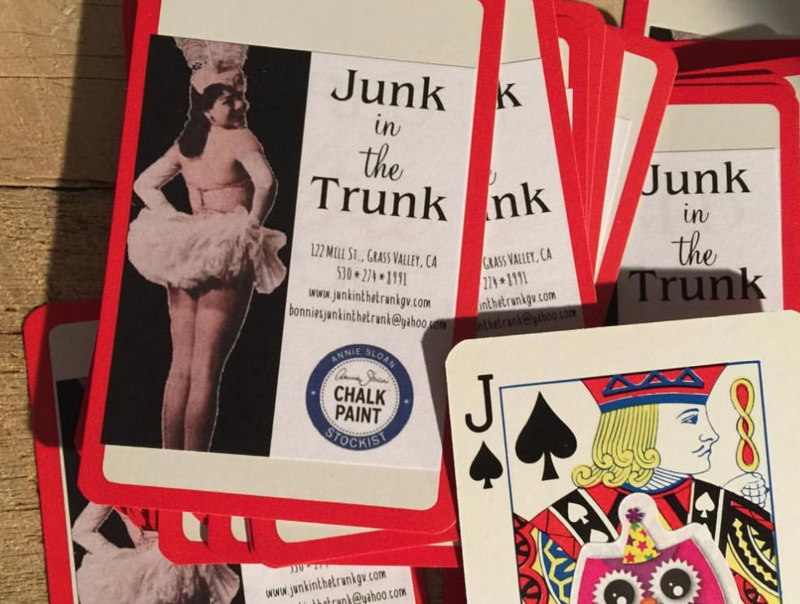 At Make Local Habit Grass Valley we feature over 250 artists and crafters. 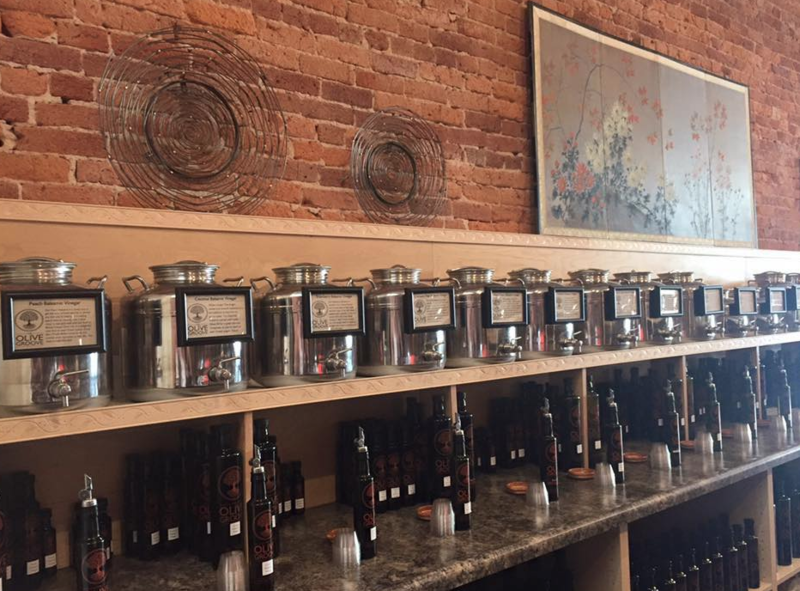 All of our items are locally made, and we feature unique products that make the perfect gift for any occasion. 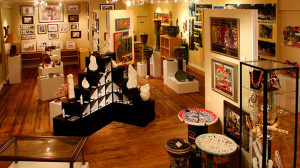 Come in and check out our hand crafted items. 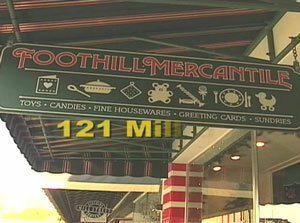 Mill Street Clothing Co. first opened its door in 1989. 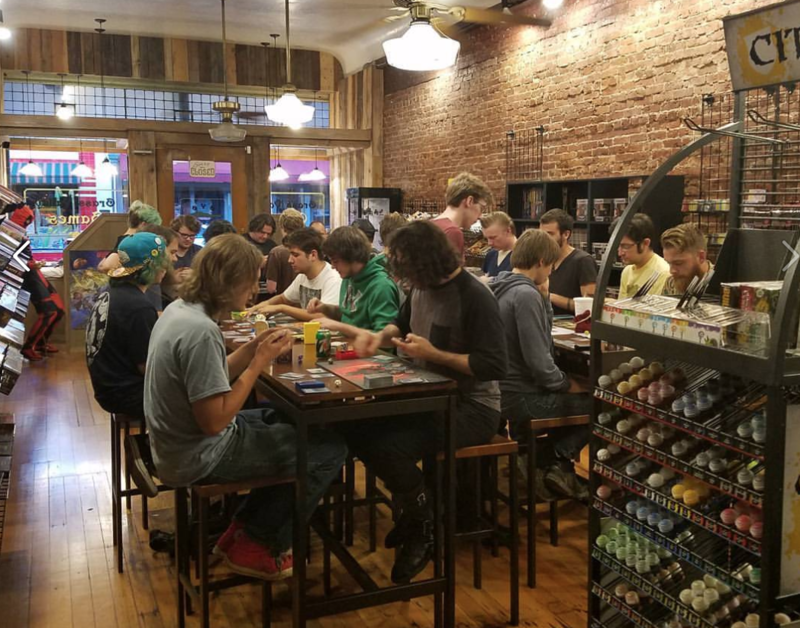 After much success it expanded in 2000 to its new 3000 square foot location at 117 Mill Street in the heart of the Historic Downtown Grass Valley shopping district. 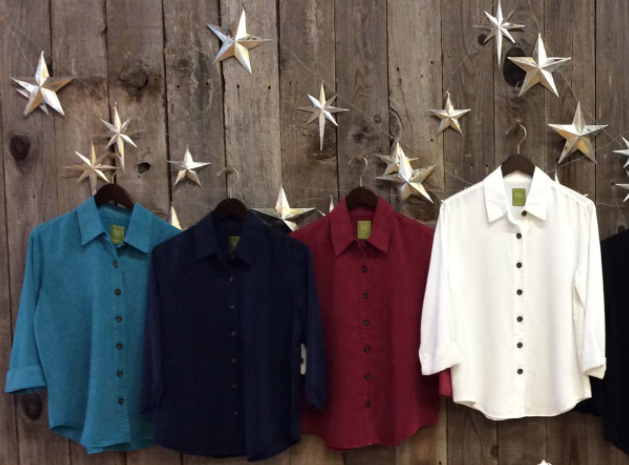 With over two decades in business Mill Street Clothing Co. is Nevada County’s Premier Women’s Natural Fiber Store. 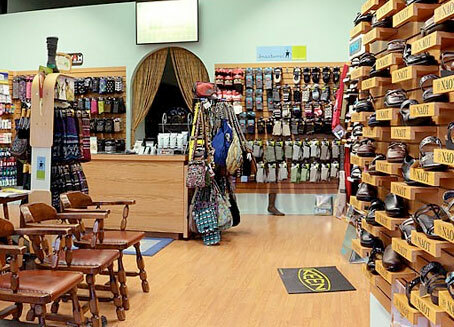 Specializing in sizes xs-xl and 2-18 in Womens the diverse collection of brands include: Woolrich, Chalet, Jag Jeans, Eileen Fisher, Tribal Sportswear, Royal Robbins, Comfy USA, and Ellington Handbags. 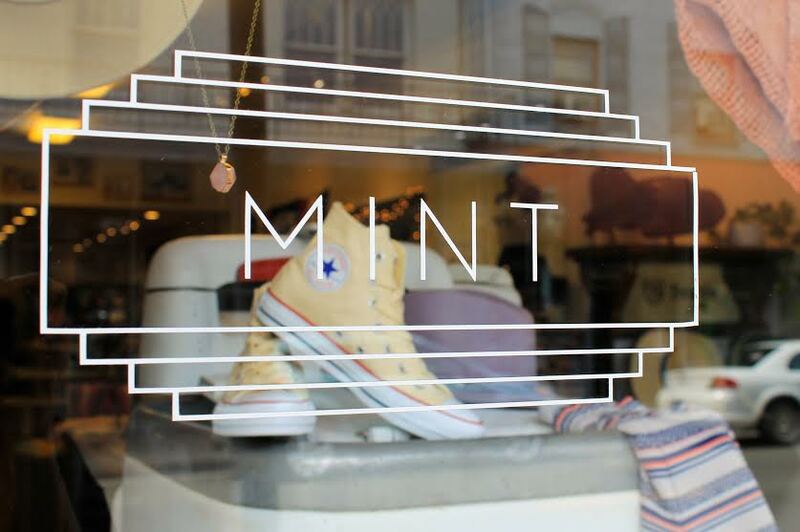 The Mill Street Clothing Co. 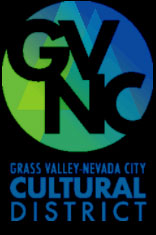 Fashion Buyer travels throughout the county attending markets in San Francisco, Las Vegas, New York, and Los Angeles to bring the best new styles and must-have fashions to Nevada County each season. 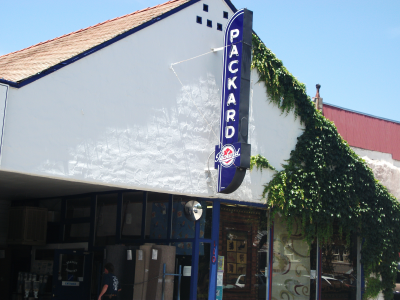 Packard Discount Carpet & Vinyl has been in business for over 20 yrs. 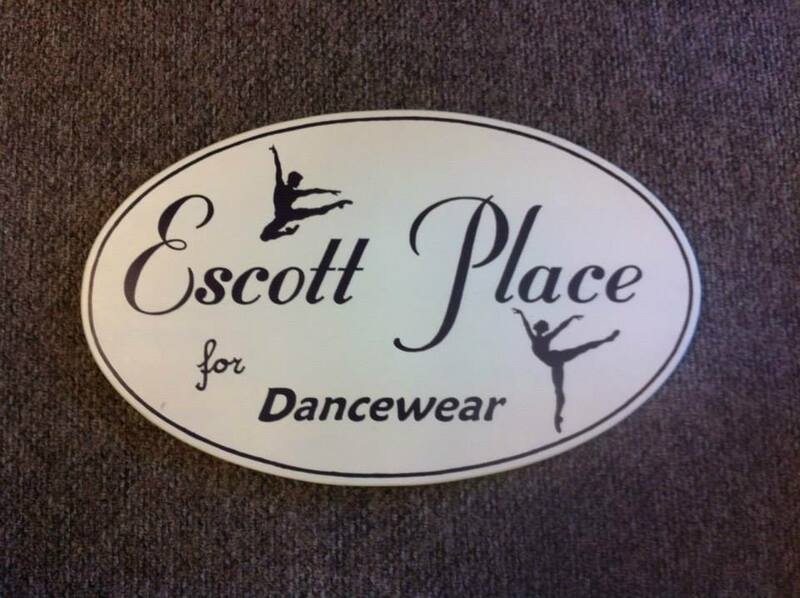 We are locally owned and operated. Our goal is to provide knowledgable customer service, quality products at discount prices and professional installation. 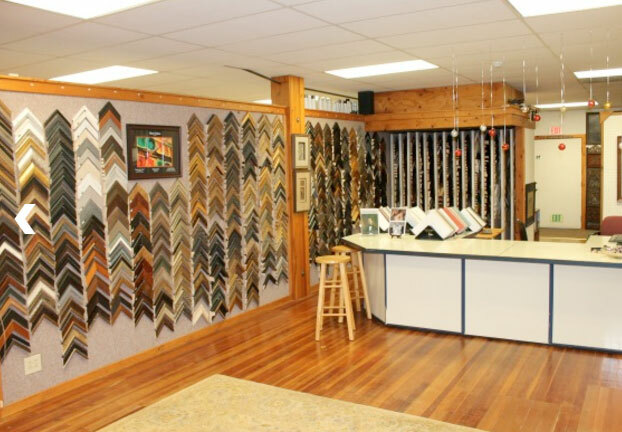 Our sales manager and associates have over 80 yrs of flooring and customer service experience, ensuring that even the most complicated job will be handled with knowledge and expertise. We are a full-service tech support company offering on-site service to businesses and individuals. 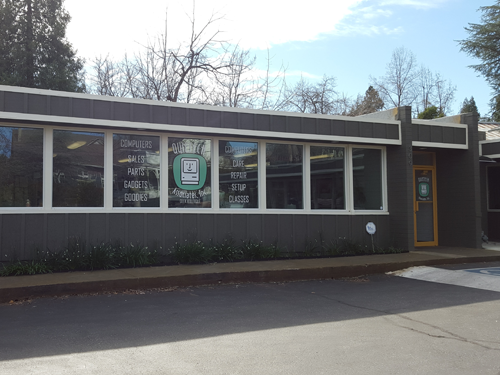 We also have a storefront, The Geek Boutique, which provides tech care, computers (new and refurbished), and classes. Sierra Gold & Coin is a buyer and seller of precious metals. 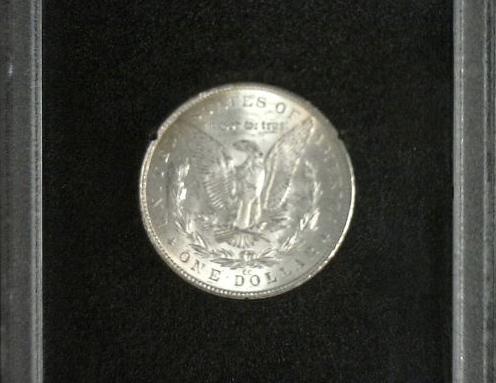 Precious metals can take the form of coin, bullion, gold, silver, platinum, scrap jewelry, sterling silver, etc. 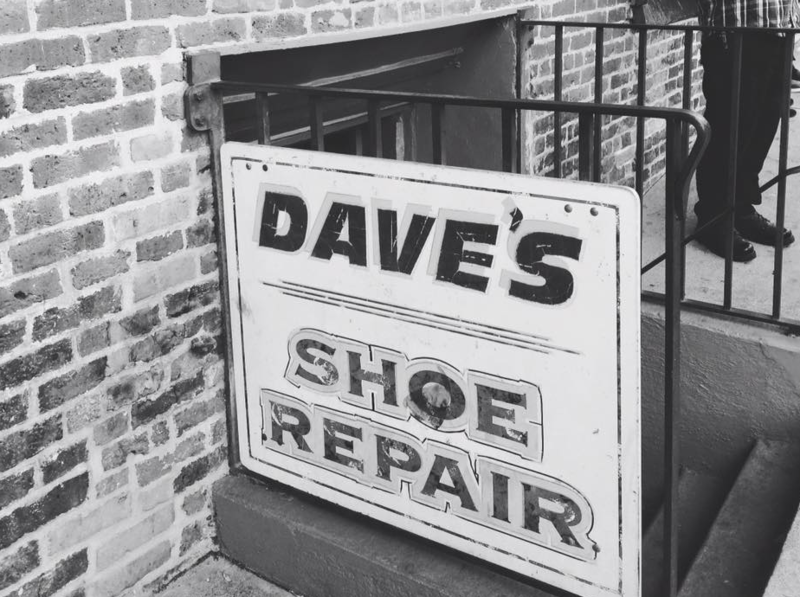 We want to be sure that the experience you have dealing with us is a positive one. 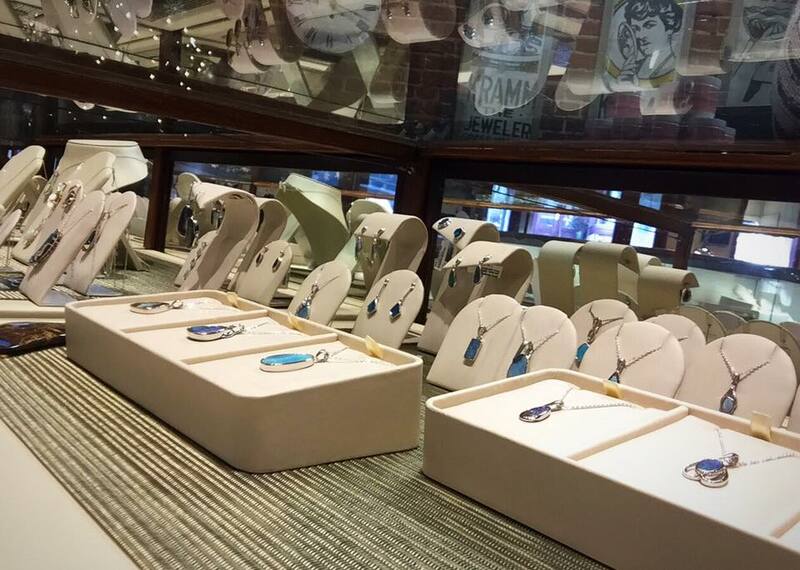 Alfred Kramm started the legacy when he opened Kramm Jewelers in the Holbrook Hotel in downtown Grass Valley in 1904. 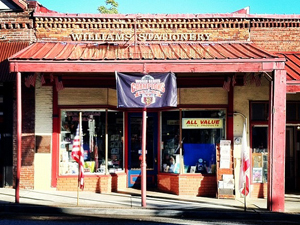 Today, more than 100 years later, we continue to be Nevada County’s most trusted jeweler. James Arbaugh, the current owner, has overseen the operations of Stucki Jewelers since 1994. 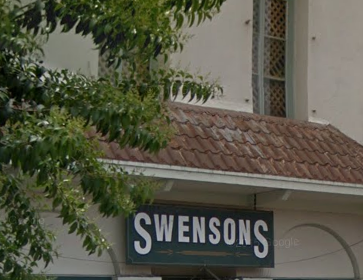 In the fall of 2005, the Swarthout’s retired and James along with his wife Nicole took over ownership of the store. Stucki Jewelers specializes in every aspect of fine jewelry. 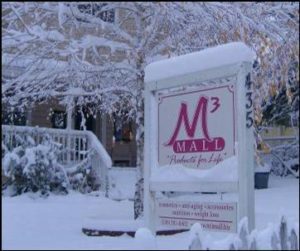 We have a qualified and caring sales staff to help you find the perfect gift for that special loved one or that special something you have always wanted. We also check and clean your jewelry complimentary, and offer a full-service, on-site repair shop for all your repair needs. By supporting Stucki Jewelers you support us in giving back to our local community, as we continue to donate to more than 45+ local organizations. 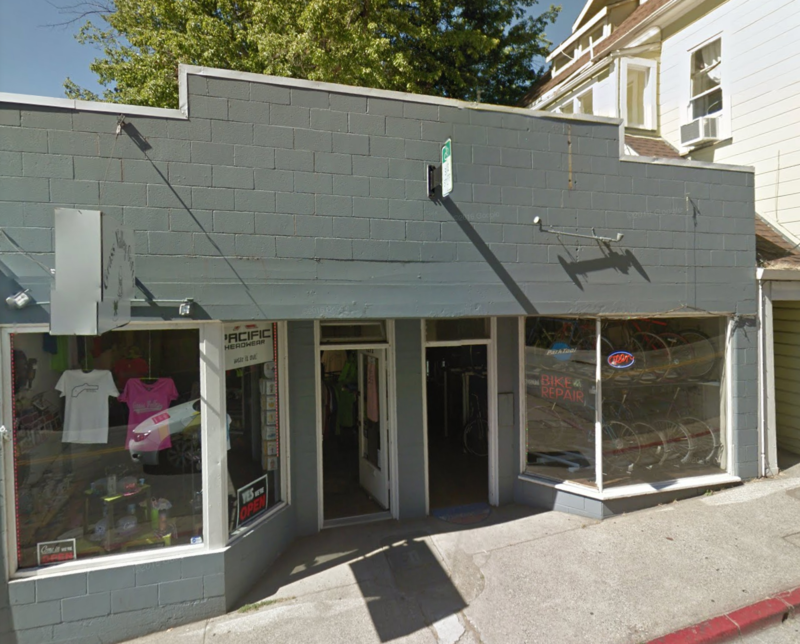 Army & Navy surplus shop located in downtown Grass Valley. 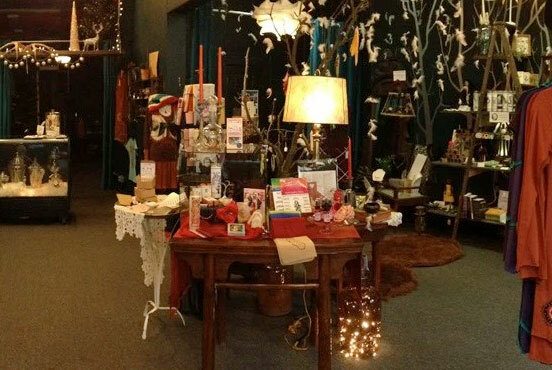 Located on Mill street in beautiful downtown Grass Valley, Tribal Weaver is your local destination for body jewelry, hemp, organic cotton, clothing, jewelry, incense, candles, fairy and dragon statues, accessories, tobacco pipes, stickers posters tarot cards, rolling papers and more. 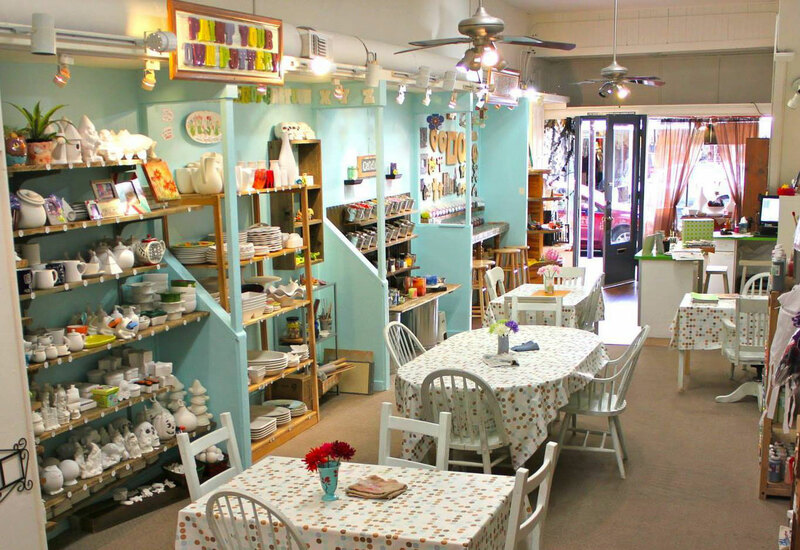 A Garden Sanctuary Store Featuring Local Artists…Deborah Bridges, Jerrianne Van Dyk, Meg Black Smith, Jerry Delong and many others. Experience the art of personal care services at Wolf Mountain Day Spa. Caressed by our tranquil ambiance, your stress melts as our devoted licensed estheticians and therapists pamper you from head to toe. A beautiful, renewed balance of mind and body awaits. 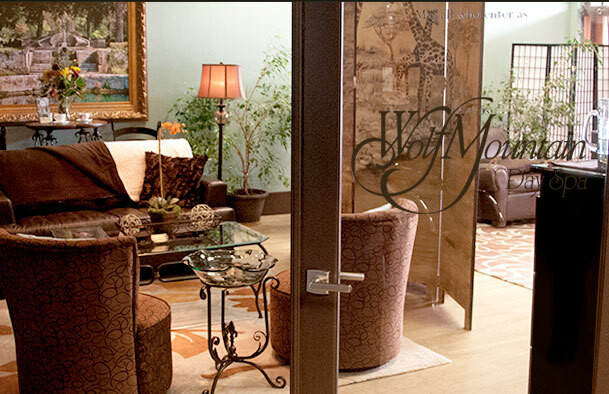 Owned and operated since 2006 by Licensed Esthetician Miriam Lytle, Wolf Mountain Day Spa is your special haven dedicated to your total well-being and relaxation. We provide Day Spa Services to Grass Valley and Nevada County, specializing in Spa Facials and Facial Peels, Massage Services, Makeup Services, Body Wraps, Spa Packages, Hair Spa, Natural Nails and many other spa services. 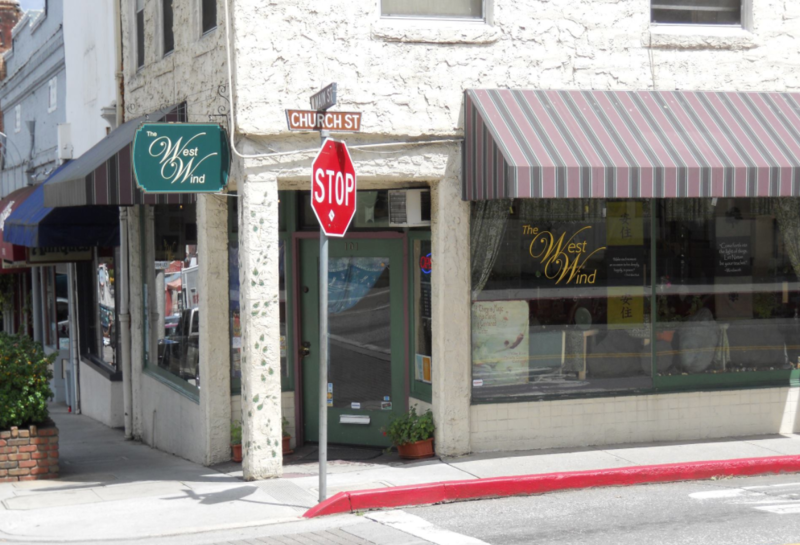 We were voted best day spa in Nevada County. 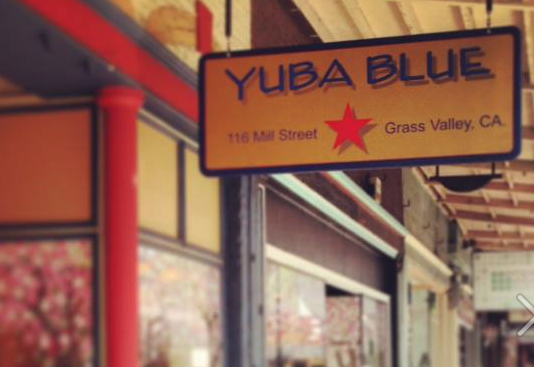 Yuba Blue offers a unique and memorable shopping experience in historic, downtown Grass Valley, California. 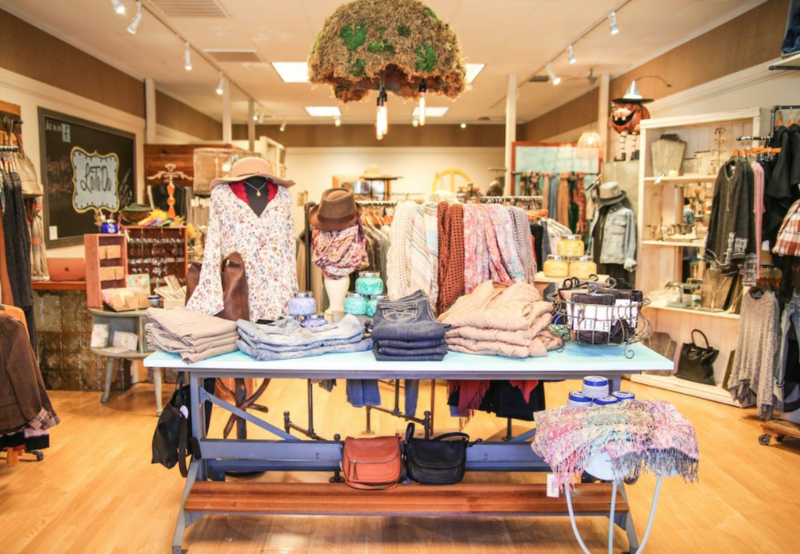 Whether shopping for a new outfit, shoes, home accent pieces, treats for body and bath or a unique gift, you are sure to find it at Yuba Blue! A fun atmosphere and outstanding customer service set Yuba Blue above the rest! 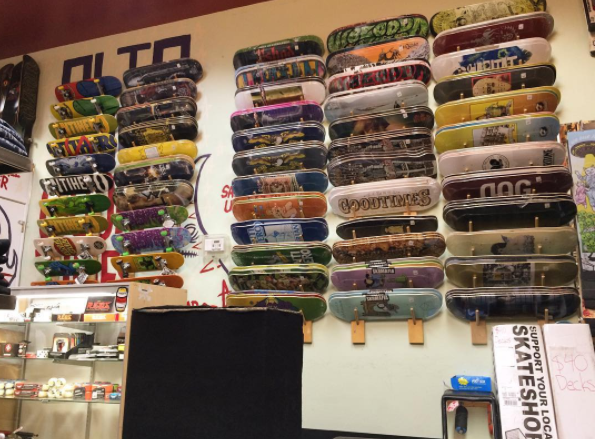 If you can’t make it to our store, please feel free to browse some of our most popular items online!